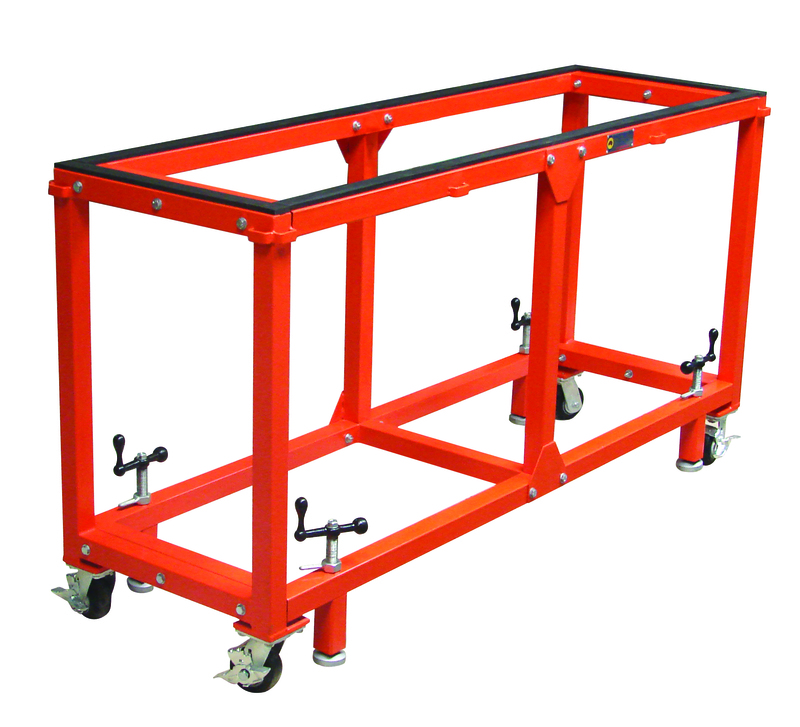 The Abaco work tables are rubber lined sturdy working surfaces. The built in brackets alow you to creat different work stations. They have independent adjustable feet, are collapsiblefor ease of transport, are constructed of 18 guage 2"x2" square tubing, and are available with or without casters.